A casual diner-style eatery where you can get three square meals a day. Interior is decked out in history and memorabilia of downtown Eau Claire. Known for great burgers, breakfasts, wraps, and more. 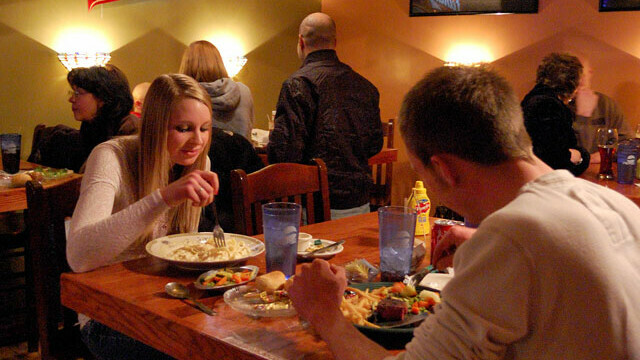 Check out their lunch and dinner specials, different every day. All you can eat breakfasts from Wednesday-Sunday with breakfast specials on the weekend. Happy hour appetizers from 2-5pm, Tue-Fri. Vegetarian friendly, outdoor seating. 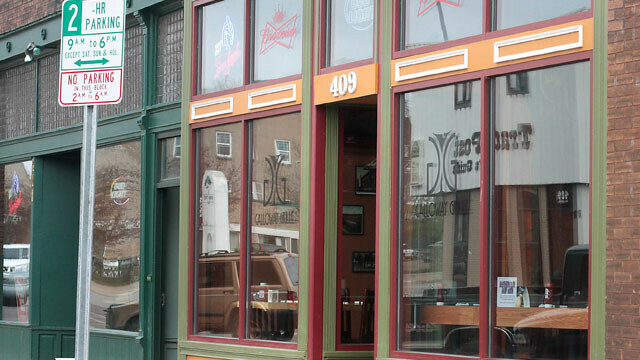 Whether you pull up a seat at a high table, a booth, the patio, or right up at the bar, you'll know Galloway Grille for its historic downtown decor and menu of pub fare. 15 rotating taps and specialty beers on hand. Get your happy hour taps from 2-5pm Tuesday through Thursday, or order half-price appetizers at the bar 2-5pm Tuesday through Thursday. New drinks and cocktails made seasonally. Husband and I arrived at 10:15 and had ordered by 10:25. At 11 he left to feed the meter and our food arrived. His as ordered. Mine had scrambled eggs instead of the over-easy I had ordered. Sent it back. As he ate and I waited our server/bartender told me my order was now at the END of the line. (all because of two wrong eggs?) "Policy" I was told. Still no food at 11:25 and I left without eating. Customer satisfaction? frenetic Friday was a success. This place was just overflowing and they succeeded to eventually get us some great food. Good Food. Service can be slow but I think it's because they always seem understaffed. The patio in the back is a nice place to enjoy your meal. Service has been slipping lately but overall it's a great place.